I testified in support of Rancho Cucamonga Sen. Mike Morrell’s Senate Bill 921 Tuesday. The bill will require each California state agency or department to post simple budgetary information on the home page of their website in a manner that is easily interpreted and understood. Sounds like a simple, common sense measure, right? Doesn’t the word “transparency” roll off the lips of every campaigning politician? 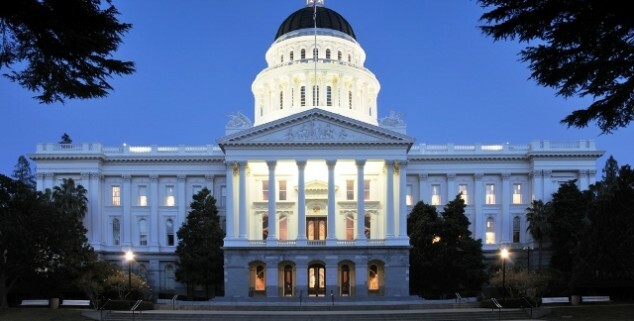 In California, as in other states, lawmakers and public officials have introduced many open government transparency bills, but not many are actually passed and signed into law, or they are significantly diluted in strength in order to gain passage. For transparency efforts to actually build trust with voters and constituents, state government must do more than upload static PDF files deep inside a huge government website, or post raw data files online. State government must make budget data more accessible, because currently it is not. The Governor’s California State Budget is over 2,000 pages, and proposes spending $190.3 billion in total state funds. Inside this behemoth hides each state agency’s budget details. It takes the skills of a Forensic Accountant to locate what’s lurking in these budget pages. An accountancy degree or CPA license should not be required to access state agency budgets, or even the basics of those budgets. The real problem is not just the difficulty in accessing and navigating the budgets, many state agencies force the requestor to file a Public Records Request, just for basic budget information. And today, PRAs are regularly stalled, ignored and challenged. State budget information should be readily available to anyone seeking it. I’ve had Public Records Requests ignored for up to a year despite follow up. Other requests were just ignored unless I followed up on them. I’ve been challenged on the information I was requesting, and I’ve received documents almost entirely redacted of information that should not have been. That is the game many in state government play with citizens and taxpayers requesting budget information. Citizens and taxpayers deserve to know how their government spends their hard-earned tax dollars. They also deserve easy access to this information. However, this information is often difficult for taxpayers to access, and should not require a MBA from Wharton to navigate. Without easy access to this information, taxpayers cannot fully understand the true cost of government services. I’m sure that’s the actual point behind the convoluted posting of the state budget. By requiring each of our state Government agencies to legibly display in a conspicuous place on the homepage of each agency website, the total number of full-time and part-time personnel employed, as well as the authorized budget and sources of funding for the current and previous fiscal years, SB 921 will give Californians a clearer picture of government spending where it can easily be found, and would be a positive step towards a more accountable, transparent and open state government – something politicians always campaign on. Why do Democrats insist on hiding information from the public? Ask your elected lawmakers this question. This entry was posted on Wednesday, April 11th, 2018 at 1:03 am and is filed under Blog Posts.